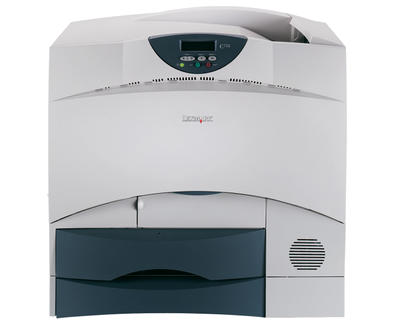 The Lexmark C752 delivers speeds of 19 pages per minute in colour and monochrome for complex print jobs. The 600 MHz processor helps generate the first colour page in less than 17.5 seconds and 15 seconds for black. Our high-speed technology will eliminate bottlenecks and waiting for print jobs at the printer. This fast delivery enables your workgroup to be more efficient which saves you money.